It's been so long since I shared some vintage finds with you all... these gorgeous stacked vintage teacups and saucers come courtesy of my thrifty brother and sister in law. They're always trawling the antique shops for my presents... Gotta love that! The glass rose is also from my brother, he got each of his girls a different colour. One for me, one for each of my sisters, our Mummy, his wife and his super cute little baby girl. How sweet is that!? The frame is from my sisters... I've yet to put one of my own photos inside simply because I'm so lazy. But hey, the silhouette bust looks lovely anyway right? These can you believe, were all Christmas presents... it has taken me that long! I'm a dreadful blogger really but I'm working on it! Have a lovely weekend! If you're thrifting, come back and tell me what you scored! A lovely vignette and special gifts Kirsty! Such fabulousness! 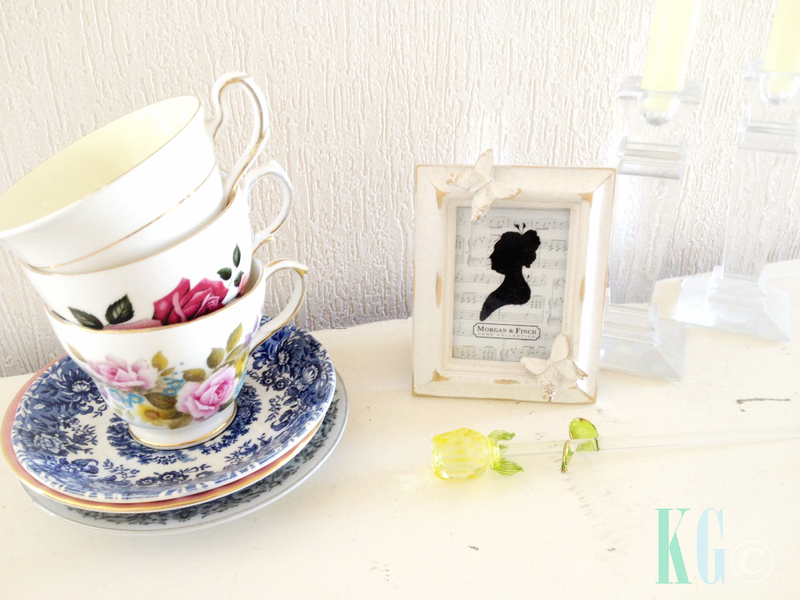 I love stacked teacups and I've done an illustration on one before. Absolutely love all things vintage. 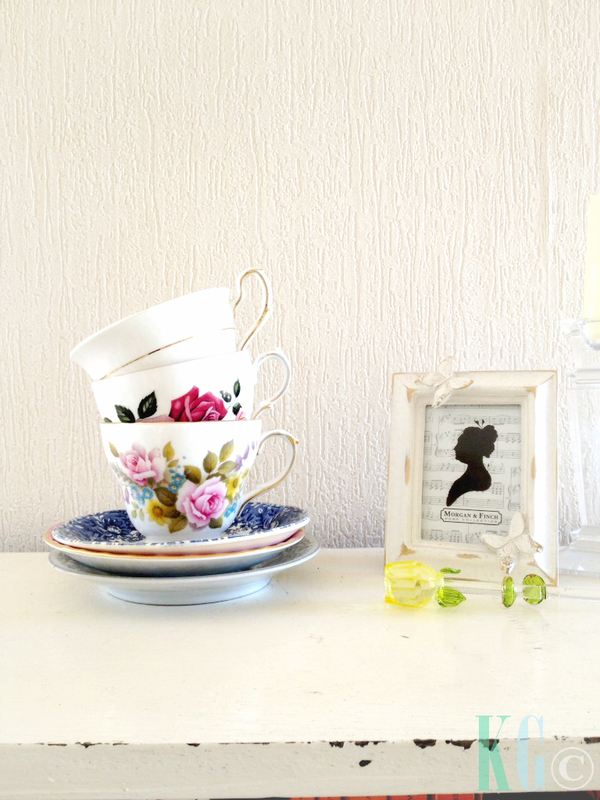 I love vintage teacups and have a nice collection too. I use them quite often as well. Yours are so pretty! Thanks for sharing your post at the Say G'Day Saturday linky party. I've just shared your pretty post on my social media sites. It's All About the Wrapping at Inky Co.